Ready to buy your dream home? You’re probably feeling a mix of emotions, from excitement to uncertainty. 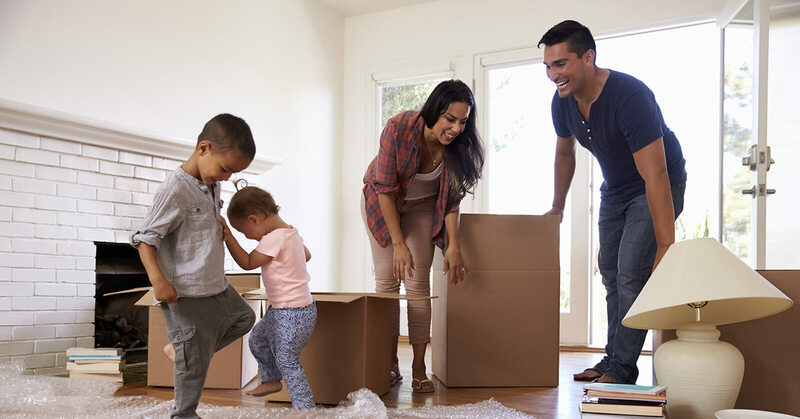 The home buying process might feel like a massive undertaking, but all you need is some expert guidance to ensure a smooth and stress-free journey. Here’s how to buy a house from start to finish in seven steps. Your first consultation with your real estate agent will be an important step, especially if you’re a first time home buyer. If you buy with Perch Realty, you’ll be working with a Local Market Expert, who is a licensed agent with in-depth knowledge of your area. Your Local Market Expert will use this conversation to give you an overview of how to buy a house and answer any initial questions you might have. They’ll also gather the details they need to help you find the perfect home, including your ideal neighborhood, home features, buying timeline, etc. Next, you’ll need to get your pre-qualification and proof of funds letters. A pre-qualification letter, sometimes called a pre-approval letter, shows how much money a mortgage lender is willing to give you for your home purchase. A proof of funds letter shows the amount of cash you have on hand for buying a home. Together, these documents will give you an accurate estimate of your price range. You can also use these letters later down the road to make your offer more competitive – sellers love buyers who have their financing ready to go. For your pre-qualification letter, your Local Market Expert can suggest a lender that fits your home loan needs. All of our recommended lenders are thoroughly vetted based on experience, trustworthiness, and efficiency. Once you choose your lender, they’ll ask you a few questions about your finances like your credit score and income. Then, they’ll give you a Loan Estimate which includes a breakdown of your potential mortgage payment, interest rate, etc. They’ll also walk you through how to buy a house from a financing standpoint, covering everything from mortgage rates to property taxes. It’s time to start shopping! Your Local Market Expert will send you new listings that meet your criteria as soon as they hit the market. After narrowing down your home search to a few of your favorites, your agent will plan a time to tour them. As you visit each home, make sure you take detailed notes of what you like and dislike and share your thoughts with your Local Market Expert. Your agent will use this feedback to help guide your house hunt. Tip: Don’t show your cards! Avoid discussing financial or offer details about a home while touring it. There may be other prospective buyers or agents present. Now that you’ve found your dream home, it’s time to seal the deal. If you’re in a competitive market, chances are your offer won’t be the only on the table. Your Local Market Expert will use their knowledge on how to buy a house in your neighborhood to help you make a winning offer. You’ll work together to decide on a purchase price that’s well-researched, competitive, and comfortable for your budget. This process involves a Comparative Market Analysis (CMA), which will give you information on comparable houses that are currently on the market, pending sale, or recently sold. Beyond the purchase price, your Local Market Expert will also negotiate other factors on your behalf, such as the closing date, earnest money deposit, option period, and closing costs. When you finalize the details of your offer, your agent will present it to the seller’s agent. It can take anywhere from two hours to two days for you to hear back. The seller will either accept the offer as-is, reject it altogether, or submit a counteroffer. If you get a counteroffer, your Local Market Expert will negotiate with the seller based on your feedback. If you reach an agreement with the seller, you’ll then sign the purchase contract, which includes paying for an earnest money deposit and option fee. Your option period gives you 7-10 days after your offer acceptance to back out of the purchase agreement for any reason. Most buyers use this time for home inspections to get a better idea of the home’s condition. Your Local Market Expert will help you determine the types of inspections you’ll need. When you receive the inspection results, you and your Local Market Expert can request that the seller pays for any necessary repairs, which will kick off a new round of negotiations. After you’ve finished negotiating for any repairs, you’re now in the run-up to closing, which usually takes between 15-30 days. During this time, you’ll work closely with your lender to ensure that all your paperwork is in order. Your lender will order a home appraisal to make sure that its value is equal to or greater than your purchase price. They will also request a copy of your new homeowners’ insurance policy. At the same time, your Local Market Expert will be working with the seller’s agent and your title company to set up your official closing day. 2-3 days before closing, you and your agent will do a final walk-through of the home to review any requested repairs and confirm that the house is in good condition to close. Now is also a great time to call the utility company and transfer the services to your name. On closing day, you’ll need to come to the scheduled site with a government-issued ID and a certified check equal to your closing costs and down payment. (Your lender will tell you the exact amount beforehand.) The closing agent from your title company will handle everything else. Once all documents are signed, the title to the home will be transferred to your name. Your keys will be presented to you at the closing table, officially making you a new homeowner! Have any questions about purchasing a home? We’re here to help. Send us a note at support@perch.com.